After one of the biggest tax fraud trials ever held in France, Guy Wildenstein, scion of the renowned Wildenstein art dealing dynasty, has for the second time been cleared of tax evasion by a criminal court of appeal in Paris. The decision on Friday, 29 June, marks the second time a case brought by French prosecutors against the family has failed. The first collapsed in January 2017, when a court found evidence that Wildenstein had made a “clear attempt” to hide hundreds of millions of euros worth of art and other property from French authorities in tax declarations in 2002 and 2008. However, in 2017 the judge said he could not return a guilty verdict due to failings by French investigators and shortcomings in the country’s tax fraud legislation. This was the re-trial. French prosecutors had argued for heavy sentencing for the Franco-American Wildenstein, 70, including a record fine of €250m and four years in jail, half deferred. Wildenstein’s nephew, Alec Junior, and his ex-stepsister, Liouba Stoupakova—who faced six-month suspended sentences—were also acquitted, alongside family lawyers and trust fund managers who were tried. The maximum possible fine (€187,000) was sought against two firms based in Guernsey and the Bahamas that managed the family's finances: Northern Trust Fiduciary Services and the Royal Bank of Canada Trust Company. In a parallel case, the French public treasury demanded €550m in inheritance tax and penalties on the fortune left by Guy’s father Daniel Wildenstein, who died in 2001, and his eldest son Alec, who died in 2008. 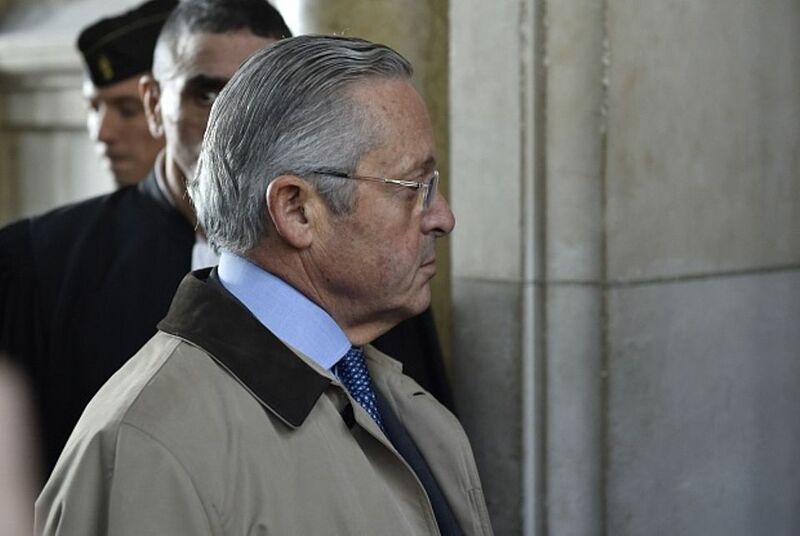 However, in the latest criminal proceeding, the court ruled that Guy Wildenstein could not be charged because too much time had passed since the 2002 tax declaration following his father’s death. On the second inheritance in 2008, the judge found a lack of legal basis and evidence to support a prosecution. The judgement represents a bitter failure for the French prosecution, which claimed that the family set up the "longest and most sophisticated fiscal fraud ever in France". Upon Daniel Wildenstein's death, his sons declared an inheritance of €40m. The €17.7m in rights and taxes that was due was paid in lieu with a group of marble sculptures commissioned by Queen Marie Antoinette for the castle of Rambouillet, now in the Louvre. The court did consider that "for three generations the Wildensteins have done everything to conceal a considerable heritage"—consisting of works of art, funds, real estate and racehorses worth billions—"behind foreign legal structures, escaping taxes." But it was only in 2011 that France adopted a new law (nicknamed "the Wildenstein law") that gives tax authorities greater powers to investigate trusts in tax havens. It could not be proven that the Wildenstein trusts were still used after this date. Regretting that no proper investigation was undertaken in the Bahamas or Guernsey, the court said it lacked the "legal basis" for a condemnation. Citing the difficulties of investigating in such tax havens, the prosecution and the treasury maintained that the Wildensteins "intended to hide their assets", an intention that was in their opinion sufficient for a condemnation. The Wildenstein acquittal will be a great relief for those in the art market who have for decades used offshore companies in tax havens to avoid charges in France. However, in future, that door is now closed.